Triple 10x Wild Slots is as simple as a slot game can become. 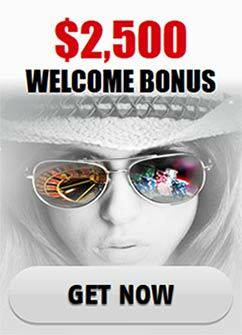 You can draw one main positives out of that-no slot game has ever been easier to understand while in the same time capable of delivering both huge earnings and restrained ones (if the player is unwilling to take big risks). Triple 10x has a colorful background that suits well the three reels and the single payline going through the middle. The maximum number of coins that can be bet in a single spin is three. The coin denomination can be as low as 1 cent and as high as 10 dollars, which ends up making the maximum bet 300 dollars. There are no scatter symbols here. Obviously the twol wild symbols are 3x Wild Symbol and the 10x Wild Symbol and they do not quite qualify as wild in terms of effects, although the abilities they have should still be able to make you quite rich as any proper wild symbol should. The combinations that rest at the bottom of the paytable involve cherry symbols. Any one symbol in combination with a single cherry pays 2, 4 and 6 coins for 1, 2 and 3 credits. Any two combined with a cherry delivers 5 coins for a credit. Three cherries pay 8 coins for a single credit. Then there are the BAR symbols, which deliver 10 coins for every credit that the gambler enters the spin with when it comes down to a triple matching combination. Three matching symbols of the dollar stashes symbol raises the number of the coins per credit to 15. Three bell symbols pumps that number up to 25. Three of the red sevens symbol pay 50 coins per a single bet credit. At the top of the food chain are the 3x and 10x symbols, which work through the delivery of huge multipliers. Receive 2 3x Wild Symbols and a single 10x Wild Symbol on the three slots of the reels and you will win 10 000 coins per a bet credit, which could result in 30 000 coins in the best case scenario. So you are obviously encouraged to bet all three whenever you spin those reels but again it is your decision. Furthermore, if you receive a single 3x Wild Symbol on the reels, the payout of the spin will be multiplied by three. If you receive two of them, the earnings will increase six times. Should the player land a single 10x Wild Symbol on the reel, the total earnings will be increased 10 times. If one 3x Wild and one 10x Wild appear then they will join forces and the total payout of the spin will be multiplied by 30. Overall, Triple 10x Wild Slots is a very simple game with straightforward rules but the thrill will certainly still be just as fresh as it would be with other more visually stunning and diverse in terms of gameplay slots simply because the rewards are just as big, if not more so.